524 pages | 111 B/W Illus. 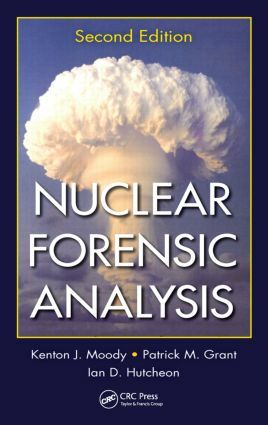 Now in its second edition, Nuclear Forensic Analysis provides a multidisciplinary reference for forensic scientists, analytical and nuclear chemists, and nuclear physicists in one convenient source. The authors focus particularly on the chemical, physical, and nuclear aspects associated with the production or interrogation of a radioactive sample. They consolidate fundamental principles of nuclear forensic analysis, all pertinent protocols and procedures, computer modeling development, interpretational insights, and attribution considerations. The principles and techniques detailed are then demonstrated and discussed in their applications to real-world investigations and casework conducted over the past several years. The material is presented with minimal mathematical formality, using consistent terminology with limited jargon, making it a reliable, accessible reference. The broad-based coverage provides important insight into the multifaceted changes facing this recently developed science. "This book by three of the leading authorities in the field outlines a critically important area of forensic science in the modern world. … should be in the library of every forensic laboratory." Kenton J. Moody is with the Nuclear Chemistry Division at Lawrence Livermore National Laboratory (LLNL), where he is a technical leader for the application of nuclear and radiochemical techniques to problems in national security and the U.S. nuclear stockpile. He also performs basic research on the heaviest elements. In addition to numerous classified reports detailing the performance of nuclear explosive devices, he has coauthored more than 100 refereed journal publications in the subject areas of the decay properties of the heaviest elements, nuclear reaction mechanisms, fission, and nuclear structure. He has co-discovered six chemical elements and more than four dozen heavy-element isotopes. Patrick M. Grant has been a staff member at Livermore National Laboratory since 1983, serving as the deputy director and special operations and samples manager of the Forensic Science Center. In addition to numerous classified and law enforcement reports, he has authored or coauthored more than 120 refereed publications in the open literature in diverse subject areas. He has been a fellow of the American Academy of Forensic Sciences since 1999 and a member of the editorial board of the Journal of Forensic Sciences since 2003. One of his unclassified investigations, a scientific explanation for the Riverside Hospital Emergency Room "Mystery Fumes" incident, was extensively highlighted in the popular media and is now appearing in fundamental forensic science textbooks. Ian D. Hutcheon is the deputy director of the Glenn Seaborg Institute, the Chemical and Isotopic Signatures group leader in the Nuclear and Chemical Sciences Division, and a Distinguished Member of the Technical Staff at Lawrence Livermore National Laboratory. He has authored over 180 publications in peer-reviewed journals in the areas of secondary-ion mass spectrometry, the early history of the solar system, and nuclear forensic analysis. He also serves on the review panels of the NASA Cosmochemistry Program and the Sample Return Laboratory Instruments and Data Analysis Program. He is a member of the American Geophysical Union and a fellow of the Meteoritical Society.